The Internal Revenue Service (IRS) is notorious for using aggressive tactics to collect from debtors. For instance, the IRS often uses levies to collect from tax defaulters, which means that they essentially seize the taxpayer’s property. However, there are some assets on which the IRS cannot place a levy, so if you owe back taxes to the IRS and have questions about which assets may be vulnerable to seizure, it is critical to contact an experienced tax attorney who can explain your legal options and protect your interests. Once the IRS has attempted to recover overdue taxes by issuing a lien, their next move is often to use a levy. However, before the IRS can legally seize property or assets, they must issue the taxpayer a notice of intent and a letter explaining the taxpayer’s rights either through the mail or personal delivery. This notice must be issued at least one month prior to the seizure. At this time, the taxpayer can submit an appeal to the appeals office. 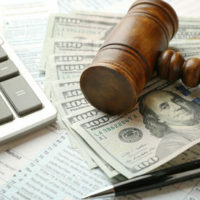 If denied, the taxpayer can then file a claim in Tax Court. A residence can also be considered exempt if the amount of the levy does not exceed $5,000. However, even in these cases, a principal residence can be levied if a district court judge approves it. Although cars are not exempt from levies, if the taxpayer can demonstrate that a vehicle is necessary for traveling to or from work or school, the government will most likely refrain from seizing it. To claim an exemption, the taxpayer must order an inventory of his or her personal property within 15 days after the date of the levy. The inventory must show the fair market value of the exempt property and the debtor must sign an affidavit certifying that the inventory contains a correct list of all personal property. The debtor must then designate which property is exempt from the levy. If the creditor does not file an objection, the court will immediately issue an order exempting the claimed items. If you owe back taxes and your property has been levied, please contact Ronald Cutler, P.A. by calling our Orlando office at 386-490-9949 and a member of our legal team will help you set up a one-on-one case evaluation with an experienced Florida tax attorney.